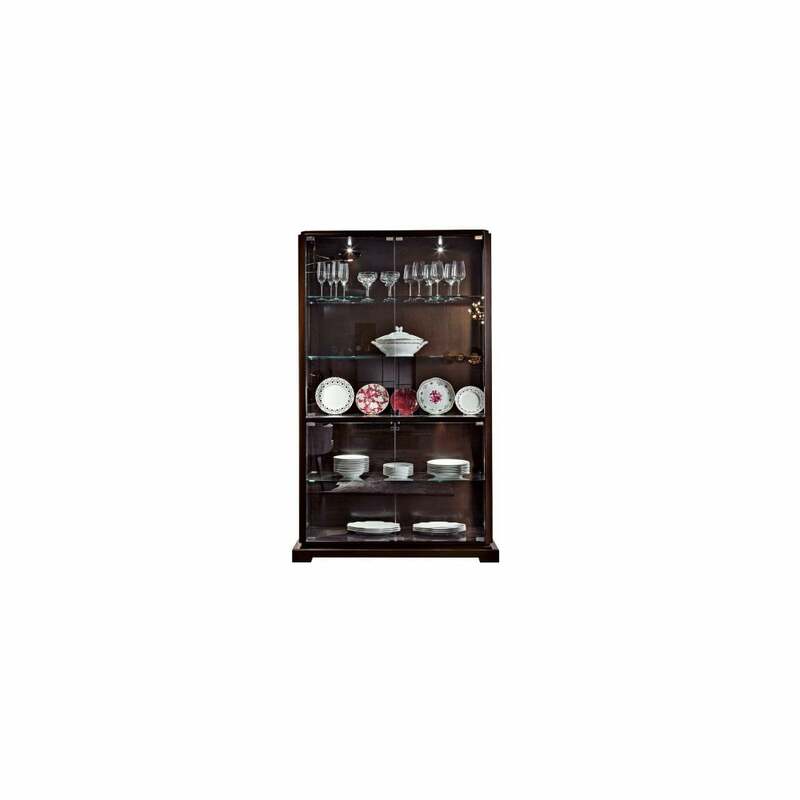 This stunning display cabinet strikes a majestic pose in it's stature and design. It will take centre stage with it's rich, dark red alder, cherry veneered frame combined with elegant glass shelving and doors, the contrasting materials working beautifully together, creating a visual open flow of space, light and reflection. This is the perfect setting to showcase your treasured keepsakes and collectables, with 4 lamps to further highlight and flatter, a place to show your treasures to their full potential, encased and protected. This grand unit is divided into 2 sections, the lower with 1 adjustable glass shelf, the upper with 2 adjustable glass shelves, both fronted with 2 single pane safety glass doors and glossy chrome decorative fittings. The side panels are also glazed, further maximising on the flow of light and visibility, allowing you to see your treasured possessions from varying angles. Standing strong and planted on adjustable hanging platform feet of solid beech, you can feel assured in the quality of design and use of materials in housing your precious collectables. The glass doors will be detached on delivery.